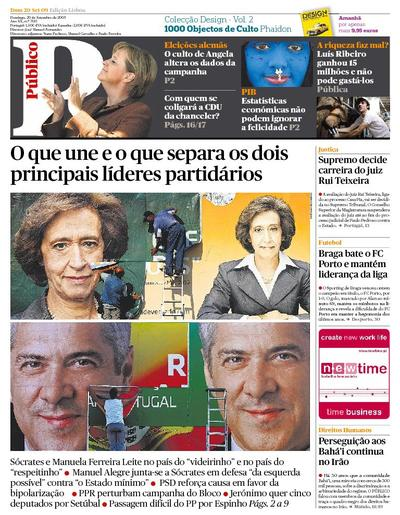 Editor’s Note: Publico (www.publico.pt) is considered the most influential daily newspaper in Portugal. Last week, its Foreign Desk senior reporter, Margarida Santos Lopes, interviewed Mr. Iraj Kamalabadi, the brother of imprisoned Fariba Kamalabadi, regarding the situation of the incarcerated Yaran and her report was published last Saturday: Publico. The front page of the newspaper also had a reference to this article. The article describes the situation of the Yaran in vivid terms and a translation was provided to Iran Press Watch by Mr. Marco Oliveira. This translation appears in 3 parts, corresponding to the three parts of the article. Iran: Islamic Regime denies citizenship rights to a community of 300 thousand members. 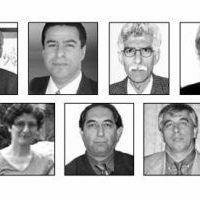 The seven leaders of the largest religious minority in Iran – five men and two women – have been held for more than a year without trial. Some charges carry the punishment of death, but the regime knows that they are innocent. Psychologist Fariba, 46, was taken to Evin Prison on the same day that the entrepreneur Jamaluddin Khanjani, 75, industrialist Afif Naemi, 47, the agricultural engineer Saeeid Rezaie, 51, the former social worker Behrouz Tavakkoli, 57, and optometrist Vahid Tizfahm, 37. Professor Mahvash Sabet, 55, has been detained earlier, on March 5, 2008, in Mashhad, where she had been summoned by the Ministry of Intelligence, under the pretext of answering questions about a funeral at the Baha’i cemetery. The law provides the death penalty for espionage and “corruption on earth”, but the Center for Human Rights in Iran, whose president, Nobel Peace Prize winner Shirin Ebadi, is part of a team of lawyers, ensures that there is no evidence to condemn them, and recommended that the trial, scheduled after several postponements for October 18, be open to the public. 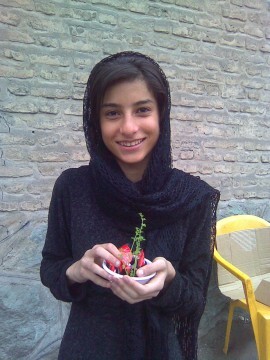 Iraj hopes that international pressure will save his sister and the other detainees from the fate of the National Spiritual Assemblies of the Baha’is of Iran (advisory boards of nine members, elected by the believers that govern community life, without any clergy) after the 1979 Islamic revolution. On August 21, 1980, the nine members of the first Assembly were kidnapped. “No one ever saw them again, they are probably dead,” said the consultant, who in 1977 went to study in Boston, and could no longer return home. On December 27, 1981, only one member of the second Assembly survived the firing squad. In 1984, four out of nine members of the third Assembly since the Revolution were executed. Aside from all that, he is encouraged by the changes of mentality that Persian society has shown. “In February, a group of academics, writers, journalists, artists, and Iranian activists published an open letter entitled “We Are Ashamed”. In an unprecedented move, they admitted having ignored, for 150 years, the plight of the Baha’is. This is an excellent article. 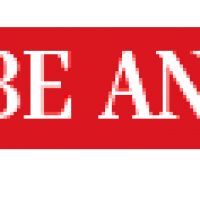 The pitiful thing is that no article, evin three installments, can mention all the human rights issues, even those not unique to the Baha’is. For example, one of the Friends had his food decreased because he needed a surgical operation but refused to have it in Evin prison, because of the high death rate in their inadequate facility. Yet Baha’is in Iran have never called for international protest of their cases until they lost all protections of the legal system, and at the same time were targeted for destruction by every tool of the legal system. 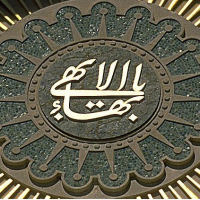 Please convey my deep appreciation to the reporter for her comprehensive and honest coverage of the situation of the Baha’is in Iran. I thank her from the bottom of my heart. 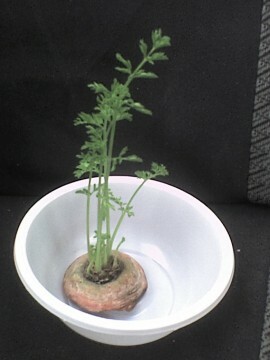 Thank you, Mrs. Santos Lopes. If you had not interviewed Mr. Kamalabadi, this little piece of the history of the human spirit might have been lost. Every word is precious. I agree with Iraj Kamalabadi, there is utterly no reason why the seven leaders who were once called the Yaran and who took the further step of disbanding themselves, should not to be immediately released. The factions of the Iranian government who insist upon punishment of the Iranian Baha’is community only make themselves appear heartless and irreligious. There is still time to show the world that the government of Iran can and will do the right thing in the name of God, in the name of humanitarian consideration: release Fariba Kamalabadi and the other six Baha’i individuals being held in Evin Prison. My family and I are disturbed with what goes on in Evin Prison as far as Human Rights Violations, specially these 7 innocent individuals who have always been obedient to their government. Why U.N. General Assembly does not condemn these atrocities? Thanks to the couragous reporter who gave the world a glimps of what is going on in Islamic Republic of IRAN.